Griffith’s Valuation for all counties of Ireland can be searched at Ask About Ireland. It is a free site and you can look at the original documents. Listed alphabetically by townland and all in North Riding, County Tipperary. The parishes are civil parishes. The dates I have given are the printing dates. 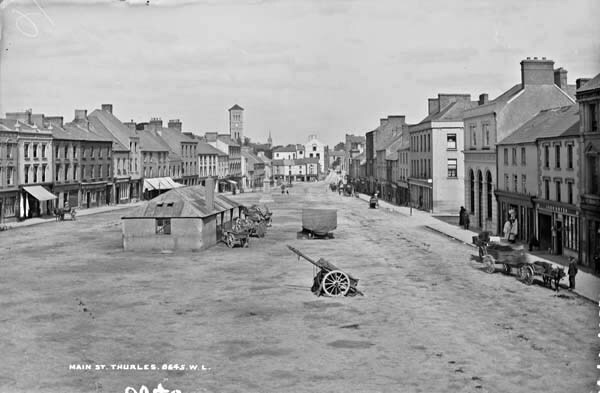 Michael Fanning poor Law Union of Thurles, Barony of Ikerrin, Parish of Templeree, Townland of Ballinlassa. Street No 6a. O.S. Sheet or Town Plan Ref 29. Map Ref 5. Michael Fanning’s name is bracketed with William Tracy 6b and Michael Brennan 5. Michael Brennan has land, William Fanning House and land and William Tracy has a house and land. The combined amount is 4 acres 3 roods 20 perches with a net annual value of 2 pounds 15 shillings. Value of the buildings was 15 shillings net annual value. Margaret Fanning Poor Law Union of Thurles, Parish of Holycross and Townlandof Ballyvoneen. Street No 2e. House with annual net value of 6 shillings. Map ref 57. Mar 1850. Patrick Fanning Poor Law Union of Thurles, Barony of Eliogarty, Parish of Thurles, Townland of Bawntamena. Street No 1. Land 6 acres, 2 roods, 12 perches net annual value of 9 pounds 16 shillings. John Darmody was also a leather seller in Main St. Under Public Houses are listed Edward Fanning at Pudding Lane, John Fanning at Main St and Patrick Fanning also at Main St. I am searching for information about my gr gr gr grandmother Johanna (Judith or Judy) Darmody. She married Edmond or Edward Fanning in Thurles Parish in 1808. They had ten children. I have been unable to find out anything about her family. Witnesses at her wedding were Patrick Darmody and Judith MacGrath. She came from the townland of Racecourse in Thurles. 20/5/1809 Edm. Callinan and Biddy Fitzpatrick; 23/9/1810 Andrew Callinan and Ellen Kirwan; 5/4/1812 Pat Fanning and Mary Dunne; 25/11/1813 Michael Fitzpatrick and Jude Fanning; 6/11/1816 Mick Fanning; 20/3/1821 John Callanan and Margaret Fitzpatrick; 17/2/1823 John Nolan and Sally Darmody; 8/11/1824 Philip Darmody and Kitty Nolan; 4/12/1826 John Ryan and Mary Callinan; 30/5/1829 Judith Treacy. 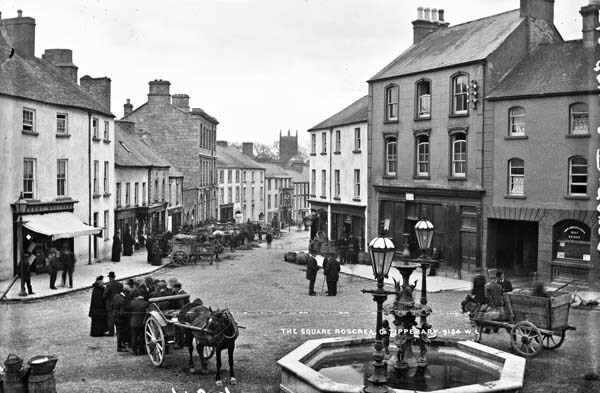 It was the practice of the time for the authorities to assess damage to property and losses by robbery due to the activities of the Whiteboys and similar organisations, and to recover the value in cash by levying a special tax or fine on all Roman Catholics in the district concerned – in this case the County of Tipperary. Below are the names of Fannings and Darmodys who were fined in 1750. 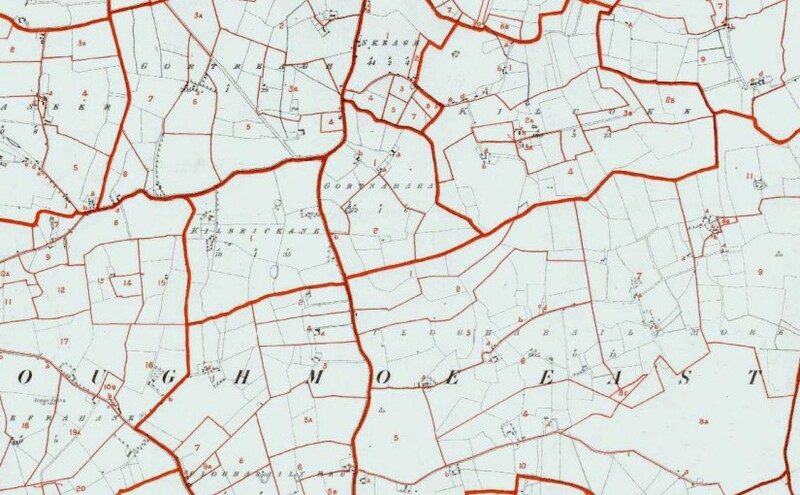 These names are from the return for the half barony of Ikerrin in Tipperary County, upon which the tax was to be based in proportion to the acreage held. 1571: Numerous Pardons with address seldom specified; some are in Co. Carlow and others appear to be of Kilkenny. None seem of Tipperary although there are numerous Butlers, Wales, Meaghers, Tobins, Purcells, Fannings, Nolans, Hacketts, Keatings, some Fogartys, Ryans, numerous Graces, some Comefords, Carrolls, Burkes. 1584: Pardon to James Fannyng of Ballikele (Ballkeely, ? Cashel), David Fannynge of Tully. Pardon to Konoghor m’Dermodite M’Brien of Sholdode. 4535 (3879). Pardon to Edm Fanninge m’Rich of Kahirgillewogre(Carrigoreilly?). Security provisions as in 4475. – 26 Nov XXVII. ( Same date pardon to more O Mulryans, Walshes etc in Co. Limerick, without further address; but probabley of Owenbeg and Clanwillian. 1597: Pardon to Rich Fanning Fitz Patr., Wm Faninge Fitz James, Rich Fannynge Fitz Oliver, Geoffrey Fannynge Fitz John, Oliver Fannynge Fitz James, Wm. Fanninge. 1600: Pardon to Oliver Faning of the Gradges yeoman. 1601: Teig m’Dermody I Mulrian of Arlow yeoman. Km. m’Dermody m’Brien, yeoman of Corrie. Connor m’Dermod m’Brien of Ballifirrin; Wm. M’Dermod O’Heallahie of Ballichinsie; John roe m’Deirmody of Cnocklonghy of Kilfrushe; Teige m’Dermod O’Lalor of Dremnemeghan; Dermod m’Teige m’Cragh yeoman of Rosenemoltiny; Wm. m’Dermod m’Cragh yeoman of Rosenemoltiny; Donogh O’Kenedie Fitz Dermod of Porttolichan (Portland); Oliver Fawning of Garrynnegri yeoman; Wm. Fanyne Fitz James; John Fitz Morris m’Dermodie of Mullagh; Gillenenewe m’Dermod; James Fanyne of Ballingarry; Teig m’Dermodie O’Hallorane; Mahown duffe O’Dermodie of Sollihoid; Pardon to Jeffrey Faning Fitz Edm of Killmocollomiogh, and tho Faninge of Mogowry, yeomen; John mDaniel O’Dermody of Loghney husbandman. 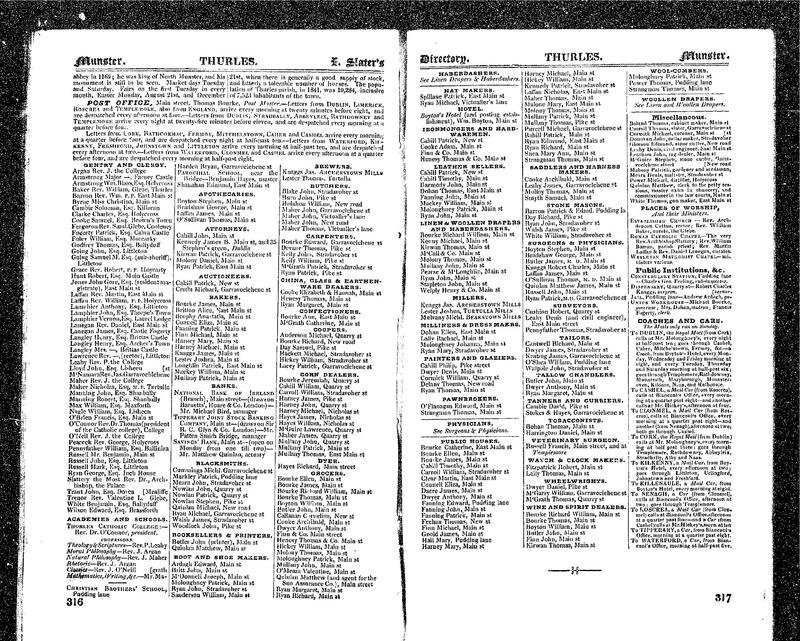 Provided they personally appear and submit themselves before the Queen’s commissioners or keepers of the peace in the several counties in which they live, at the next or 2nd sessions after the date of pardon; and shall then be sufficiently bound, with convienient sureties to keep the peace and answer in all sessions in the several counties when called to satisfy the demands of all the Queen’s subjects according to justice. Pardon not to extend to any murder committed by any of these persons before their entry into rebellion, nor intrusion on possessions of crown, nor to remit or release any debt, account, or fine of alienation, due to crown. Those engaged in the redemption of the Earl of Ormond from captivity among the rebels, exempted from proviso requiring security. The pardon recommended by the Earl of Ormond – 6th Aug. XLIII. (C.P.R. – 591). Provisions as in 6497, save proviso excepting crimes committed after the date of the Lord President’s letter is ommitted, and the date of the Lord Deputy’s warrant for the pardon inserted in the body of the patent, as the period up to which offences are pardoned. Pardon not to extend to any murder committed by any of parties before they entered into rebellion – 3rd March XLV. (C.P.R, 634). Provided they appear and submit before Nick Walsh, Knt., Chief Justice of the Common Bench, W. Sarey the Chief Justice of Munster, John Everarde, Second Justice of the place, Gerald Comerford, Second Justice of Munster, and Dominick Sarsfield, queen’s attorney of the province, or 2 of them, within 3 months, and be sufficianthy bound with sureties; and that all recognyances taken be recorded in the council book of the province of Munster, at the next sessions in the county where the parties live. Unless the persons aforesaid find security within 3 months, the pardon, as to them, to be of no effect. Pardon not to extend to any intrusion on crown lands, or debts to crown – 3rd Mar. XLV. (C.P.R.-629). If above link doesn’t work google Annates of Emly and Cashel and when the Ryan site URL comes up click on Cached. A return of inquests taken by James Carroll, Esq. 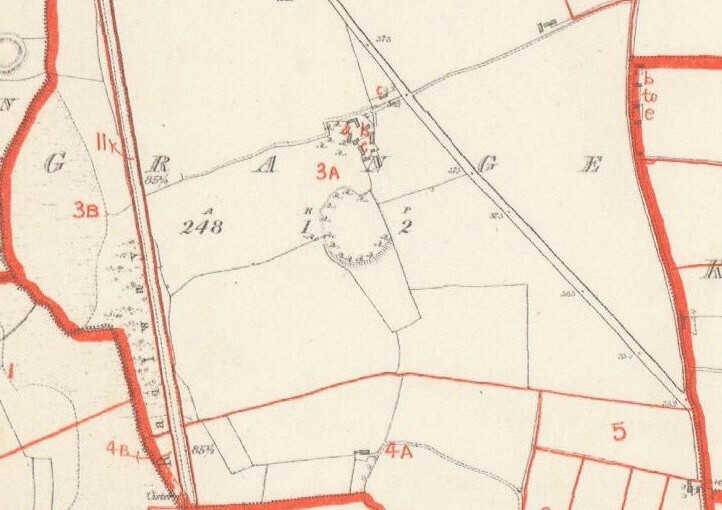 one of the Coroners of the County Tipperary starting on the 3rd, Day of July 1847: Aug. 7th on Mary Darmody, Birdhill, Kilcominty, Owney and Arra, Dr. Robert A. Twiss. Application for Presentments at the Spring Assizes 1848, for amount of inquisitions held by Thomas O’Meara, Esq, one of the Coroners for the County Tipperary: Nov.3rd. on Bridget Darmody, Ballinlonty, Verdict-Murder. Application for Presentments at the Summer Assizes, 1848 for the amount of Inquisitions held by Thomas O’Mears, Coroner for the County of Tipperary: 13th. June, Thomas Fanning, suffocation at Upperchurch. April 1st 1851, Wm. 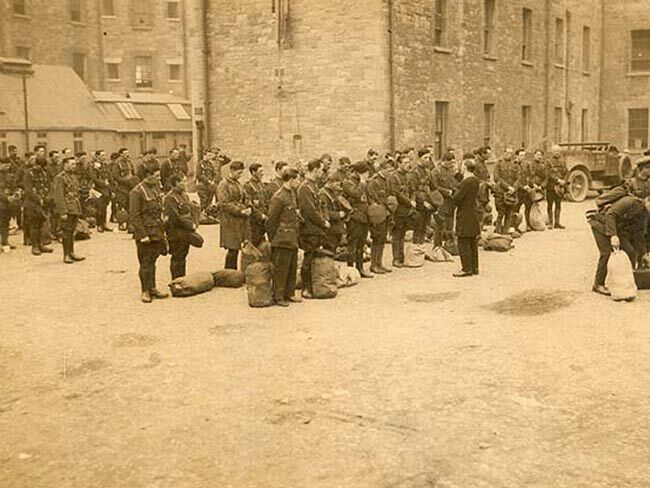 Fanning, at Ballymackey, Lower Ormond, died from destitution and cold. G. Frith, surgeon. Coffin 3s 6d. These are the Civil Parishes where Fannings, Fannins and Darmodys are listed in Griffith’s Valuations. There is detailed information on individual entries in Griffith’s Valuations in the post “Fanning/Fannin/Darmody in Griffith’s Valuation” 3/21/09. They are, going clockwise from the top,: Roscrea, Bourney, Killavinoge, Templeree, Loughmoe West, Loughmoe East, Moyne, Rahelty, Twomileborris, Ballymureen, Moycarkey, Fertiana, Holycross, Thurles, Inch, Glenkeen, Drom, Templemore. Bassett’s Directory by George Henry Bassett was a manual and directory for manufacturers, merchants, traders, professional men, land-owners, farmers, tourists, anglers and sportsmen generally. It was published in 1889. 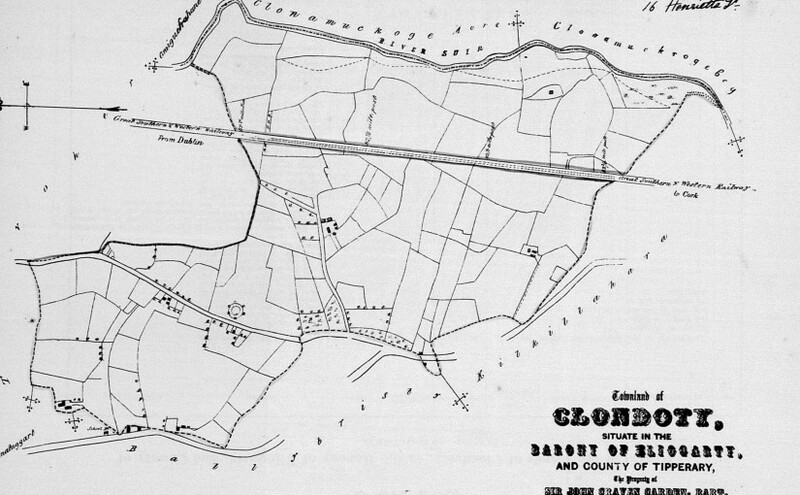 All of Bassett’s Directory for County Tipperary is on the Rare Clonmel site. 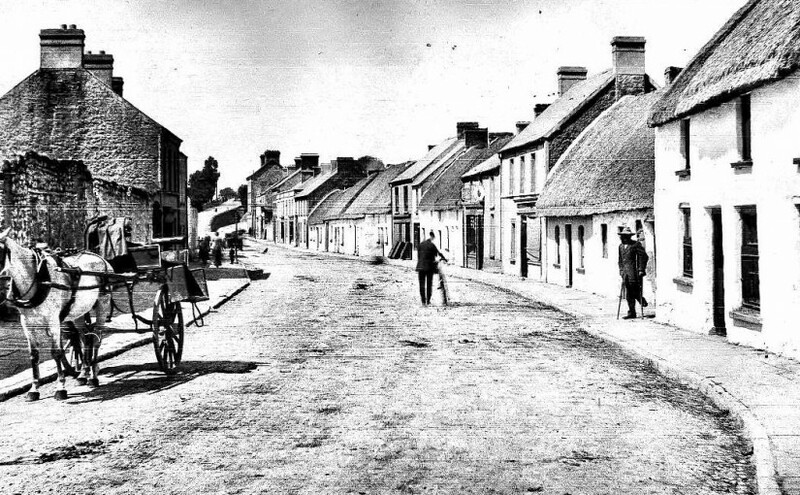 After their occupation, the street or townland is listed, followed by the town name. Mrs C Fanning Farmers, Residents, Lissaroon Bouladuff. Bouladuff is a townland of 252 acres 3 roods 17 perches in the Civil Parish of Inch. Martin Fanning Grocers Limerick St Roscrea Wholesale & Family Grocer, Tea, Wine &amp; Spirit merchant, also Mineral Water Manufacturer. Pat Darmody Town Commissioners Thurles. Major Tipperary county Towns in 1856 – Clonmell, Cashel, Roscrea, Nenegh, Tipperary, and Carrick. Patrick Fanning of Ballyrichard Rd is a tailor.